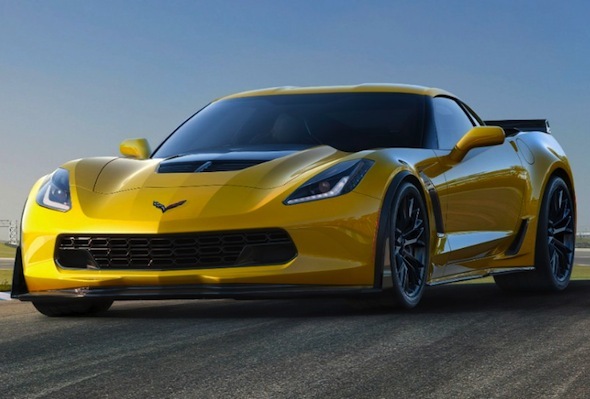 The first 2015 model Corvette Z06 has raised $1million (£597,775) after going under the hammer at the annual Barrett-Jackson Collector Car Auction in Florida's Palm Beach. The winning bid was submitted by high profile Chevrolet enthusiast and NASCAR team owner Rick Hendrick, who previously bought both the first Corvette Stingray Coupe and Convertible models off the line. He was also the first to own the 580bhp range-topping Camaro ZL1, which he purchased at auction for $250,000 (£149,444). Unlike the previous generation Z06, which used a naturally aspirated 7.0-litre V8 engine boasting 505bhp, the new model features a supercharged 6.2-litre engine, which takes power up to a heady 625bhp – only 25bhp less than a Ferrari Enzo. Whether the introduction of forced induction to the Z06 will sit well with buyers – generally US track-day goers – remains to be seen, but there's no doubting the car's performance potential. The money raised from the auction will go to the Karmanos Cancer Institute, which will spend it on a new 'Infusion Centre' aimed at providing a "more comfortable and soothing setting for patients to receive chemotherapy treatments," according to a GM statement. GM President Dan Ammann said "We thank Rick Hendrick for his ongoing, generous support that will help Karmanos Cancer Institute provide better care and treatment for cancer patients. We are humbled by all those who are supporting the Annual Dinner and who are giving generously to help us exceed last year's fundraising total of $2.5 million."